NF Engineering is a flexible, locally-owned company delivering expert engineering services to the mining, manufacturing and resources industries. Based in Perth, Western Australia, the team at NF Engineering has grown to become a recognized leader in machining services, tooling and general engineering, catering to the manufacturing, mining and resources industries. We provide reliable CNC mill and lathe machining services, affordable lathe and general engineering of the highest quality. NF Engineering uses the latest machinery, undertaking CAD/CAM (computer-assisted design / computer-assisted manufacturing) procedures with a complete dedication to client satisfaction. Catering mainly to the industrial and commercial sectors, NF Engineering carries out projects across the state. All work is completed quickly and cost-effectively, with an emphasis on client satisfaction. With over 30 years’ experience in general and precision engineering, we’ve been around long enough to understand how and why this technology was developed and we’re savvy enough to make use of it at a professional level. 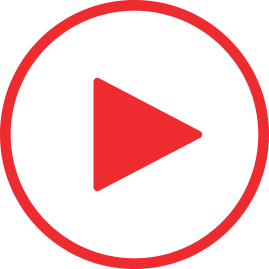 Unlike many of our competitors, we are owner operated. When a qualified machinist with over three decades’ experience oversees each and every job that we take on, it shows in the end product. Contact us today to discuss your engineering requirements or read more about the different machining services we offer below. CNC stands for ‘Computer Numerical Control’. 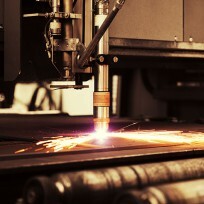 CNC may be used to control a wide variety of machinery, including mills, lathes and plasma cutters. Regardless of what machinery it controls, CNC allows us to machine parts with far more accuracy and consistency than would be possible by hand. CNC machining requires various highly specialised skills and experience, all of which we proudly have in-house at NF Engineering. 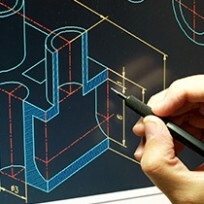 General engineering and precision services are at the core of the services we offer at NF Engineering. As engineers, we understand that precision and consistency are non-negotiable. 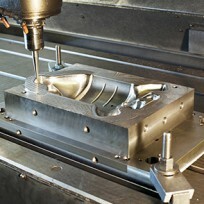 NF Engineering is your partner in CNC machining in Perth. Don’t make the mistake of trusting your time-sensitive engineering projects with inexperienced, ill-equipped engineering services. When you deal with NF Engineering, you can rest assured that right from the design stage through to reproduction your project will be executed by trained and highly experienced professionals. 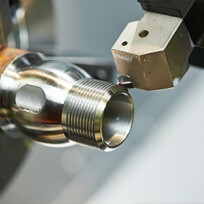 Go to the experts you can trust for general and precision engineering in Perth. 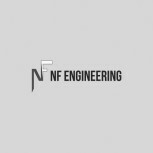 Contact NF Engineering today. The NF Engineering team uses the latest computer numerical-controlled lathing technology to create accurate, reliable products and components. The CNC Lathe Machining is used for a broad range of production processes. The NF Engineering team uses the latest computer numerical-controlled milling technology to create accurate, reliable products and components. The milling machine uses a rotating cylindrical cutting tool and the process is very similar to cutting and drilling. Our CNC Mills can be used for many operations that are usually performed by traditional cutting and drilling machines. NF Engineering can tailor projects to any deadline or budget, carried out with a complete client focus. Just like every aspect of modern life, computers have become absolutely vital tools in the product design process. Now it is possible to design and test an idea, using CAD and CAM software to identify design flaws and manufacturing challenges, as well as find solutions, all entirely in the digital realm. 3D CAD (Computer-Aided Design) software can now produce a truly refined prototype, saving you countless hours and tons of money. CAD/CAM design is the simple process of using specialised 3D modelling software to create a detailed digital model; even moving parts can be programmed into the model, in order to check clearances and troubleshoot issues. The software then outputs a series of tool movements, which will direct a machine controlled by CNC (Computer Numerical Control). Not only will you be able to produce a part that is exceptionally accurately machined, but once the final digital model has been created, you’ll be able reproduce it as many times as necessary, without ever having to compromise accuracy. All you need is a partner that can offer you reliable, professional 3D CAD services, on an ongoing basis. That’s where we at NF Engineering come in. This guy knows what he is doing. If he can’t make it or repair it then I would be greatly surprised.